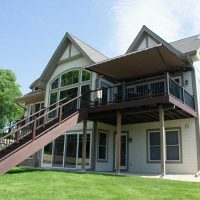 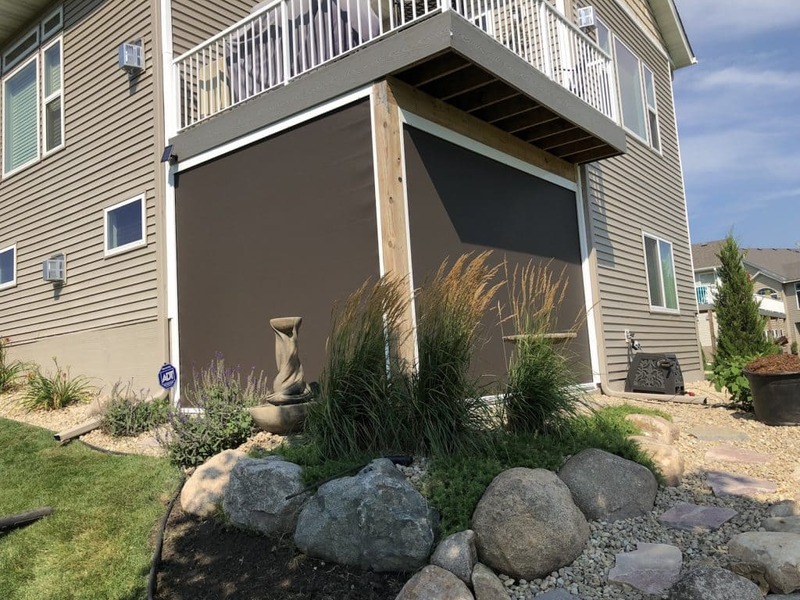 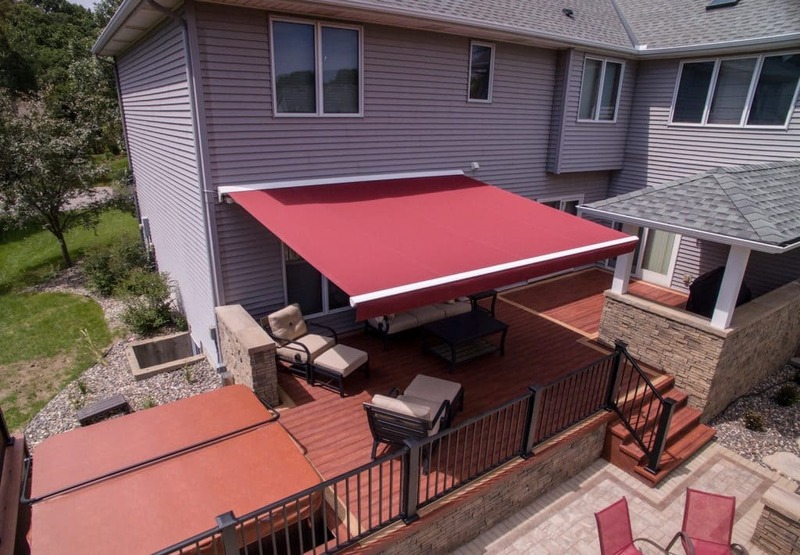 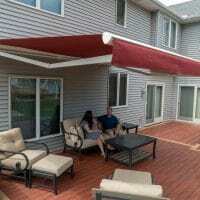 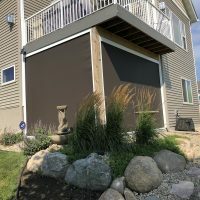 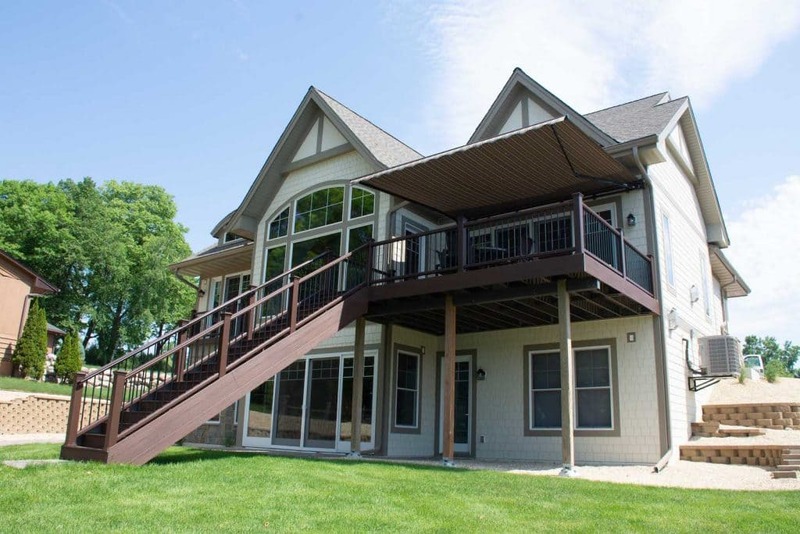 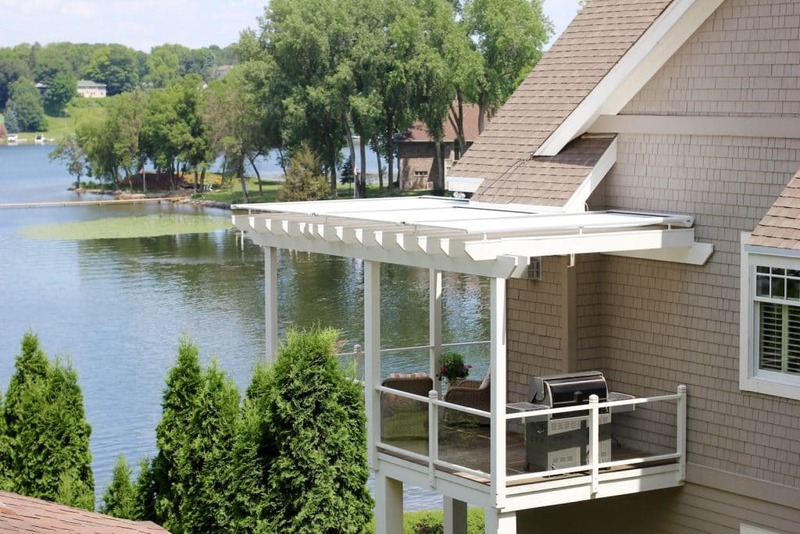 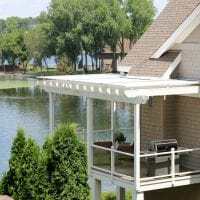 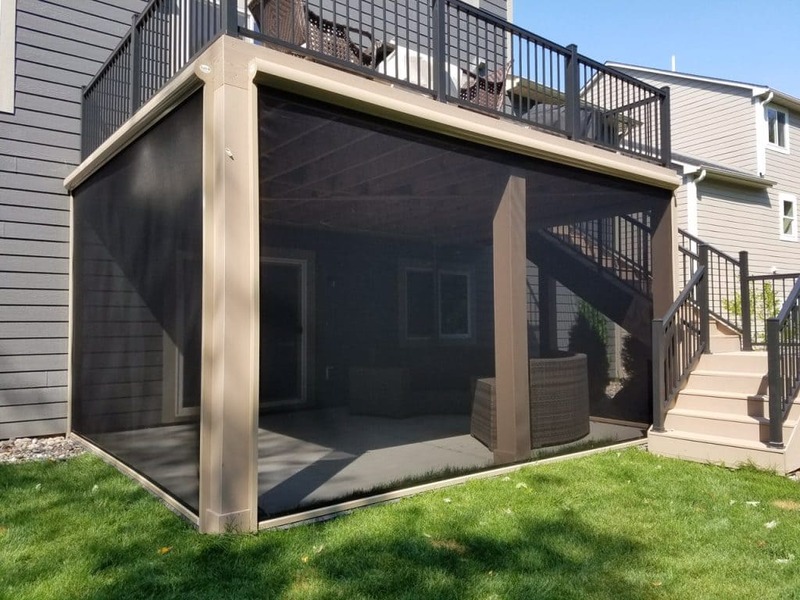 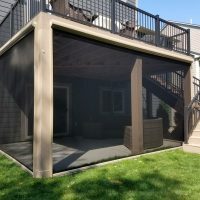 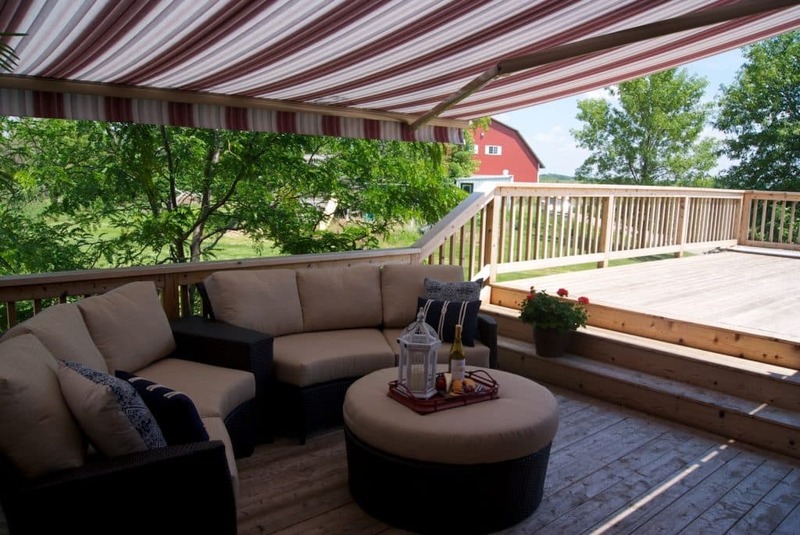 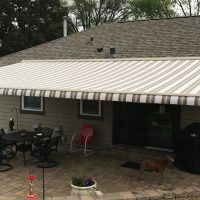 Enjoy the beauty of your backyard with a Sunesta Retractable Awning, Shelter, or Screen from Gutter Helmet of Minnesota. 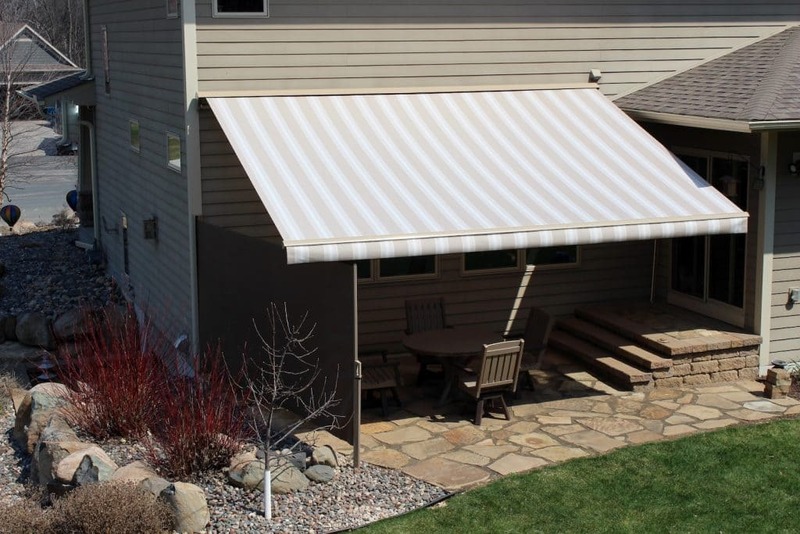 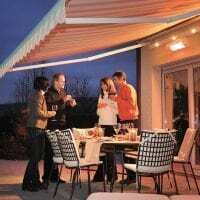 The Sunesta Awning and Outdoor Comfort line will protect you from the sun and provide you with shade. 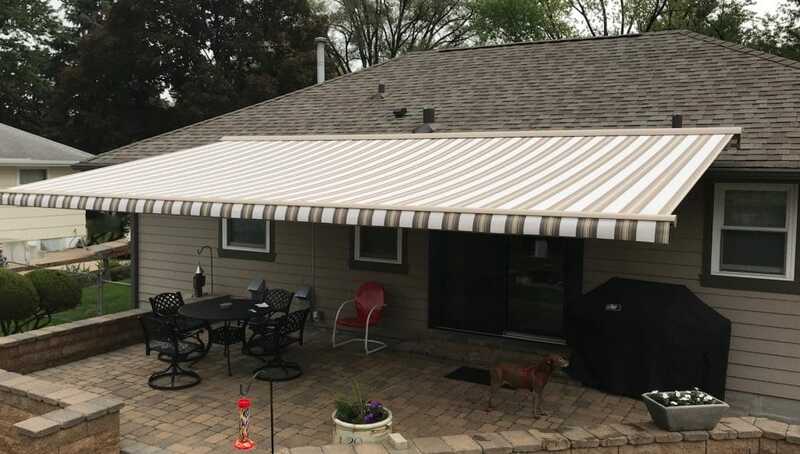 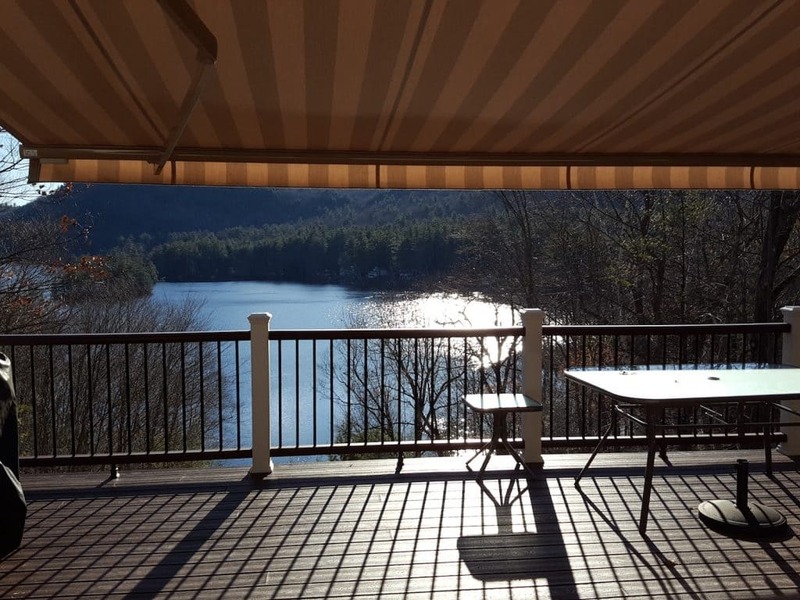 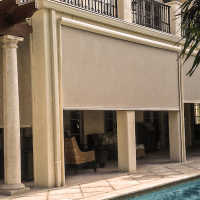 Each Sunesta Retractable Awning is custom made, with over 140 fabric colors to choose from.
. Block the sun, lower your energy costs and reduce your indoor temperatures all at once with the addition of a Sunesta Retractable Awning to your home. 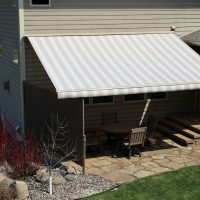 Sunesta offers three different awning options; The Sunesta, Sunstyle, & Sunlight so you can choose the right awning to fit your specific needs and budget. 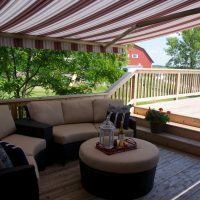 Create a distinctive outdoor living area while adding functional elegance to your patio or deck. 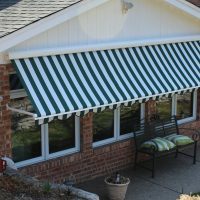 With Hundreds of fabric colors and patterns to choose from, there’s something for everyone. 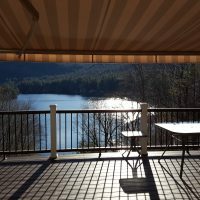 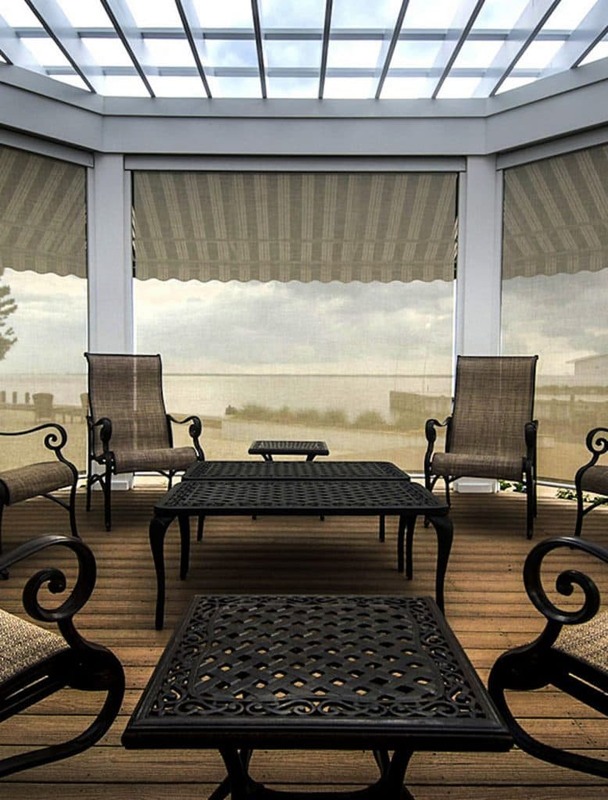 Unlike blinds, drapes, and window films, a retractable awning blocks only the elements, not your view. 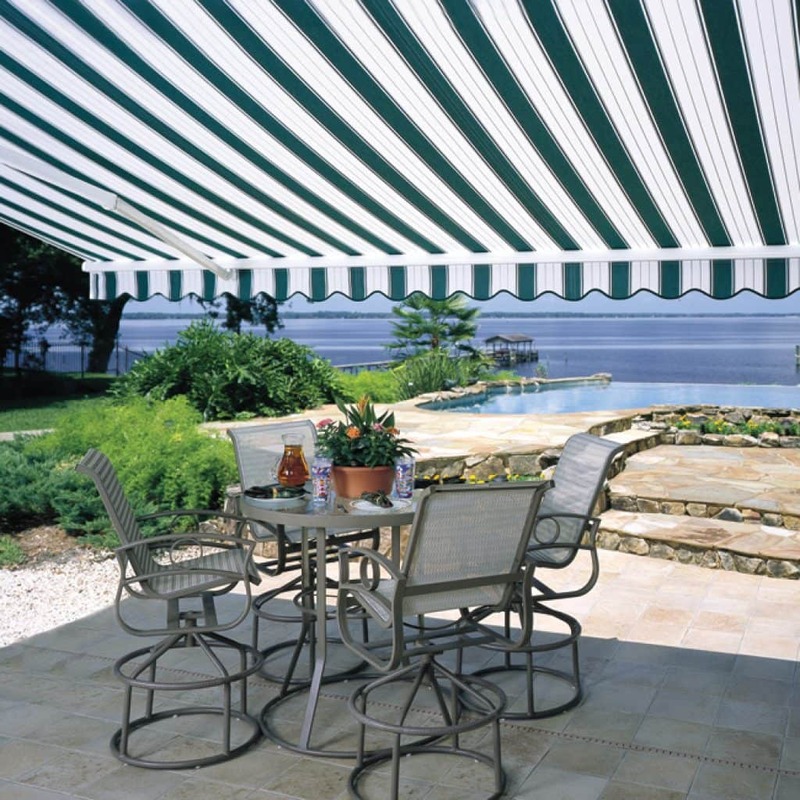 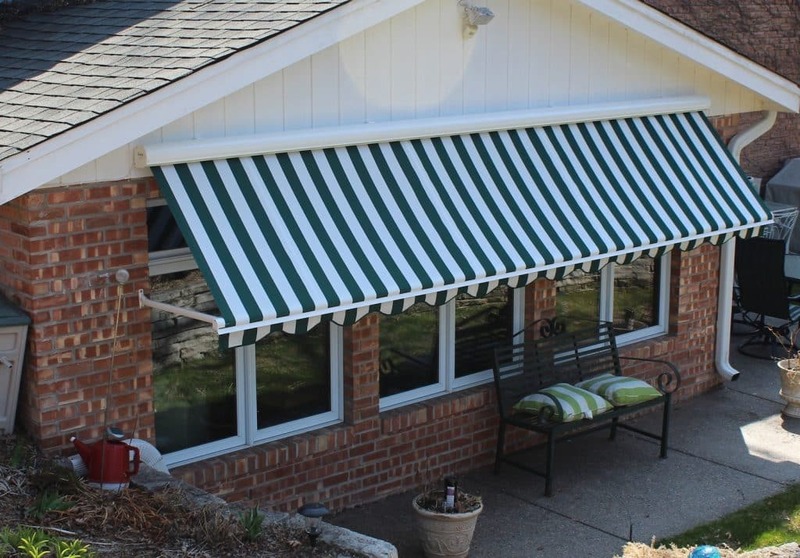 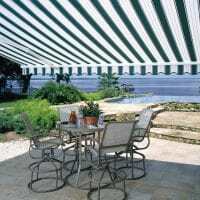 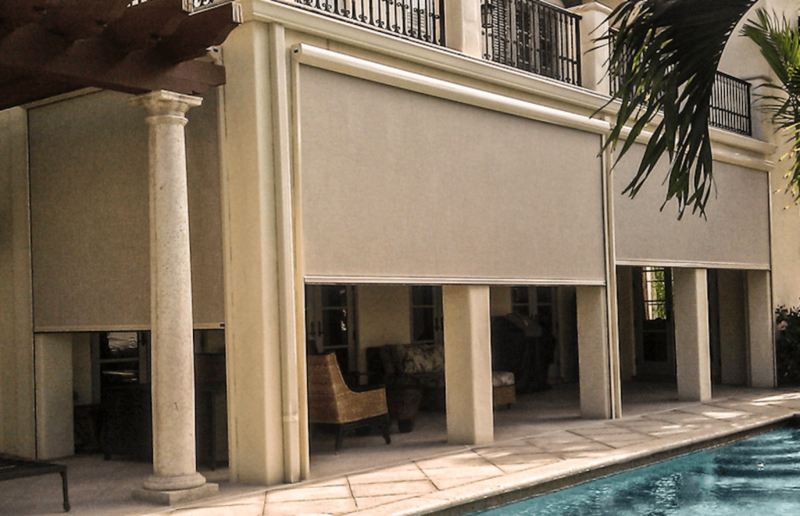 Awnings provide continuous enjoyment of outdoor spaces while shading homeowners from the sun. 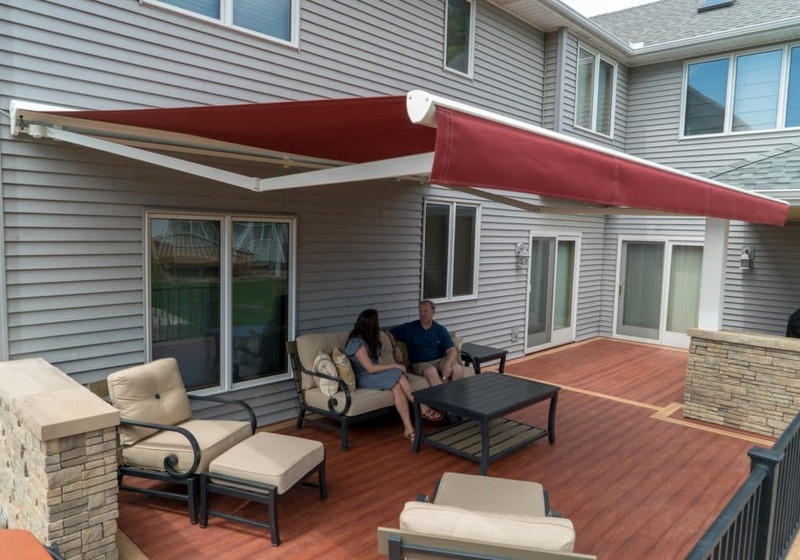 A Sunesta Retractable Awning gives you total control of the areas it shields because you can easily retract the awning on cloudy days to encourage more light in a room or extend on sunny days to block heat gain. 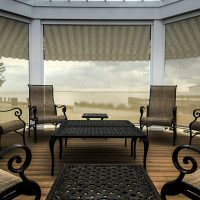 Constant direct summer exposure to ultraviolet rays damages and fades furnishings such as carpets and window treatments. 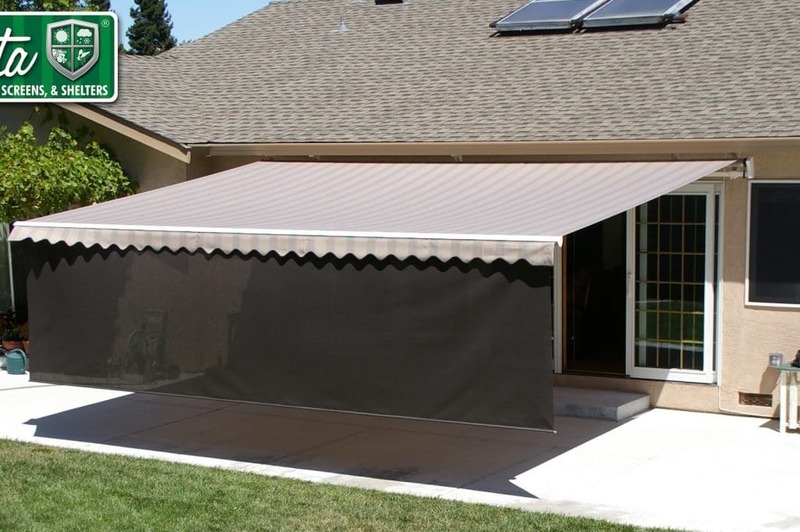 The Sunesta Retractable Awning easily shields your home from the sun, protecting your belongings from damaging effects of ultraviolet rays. 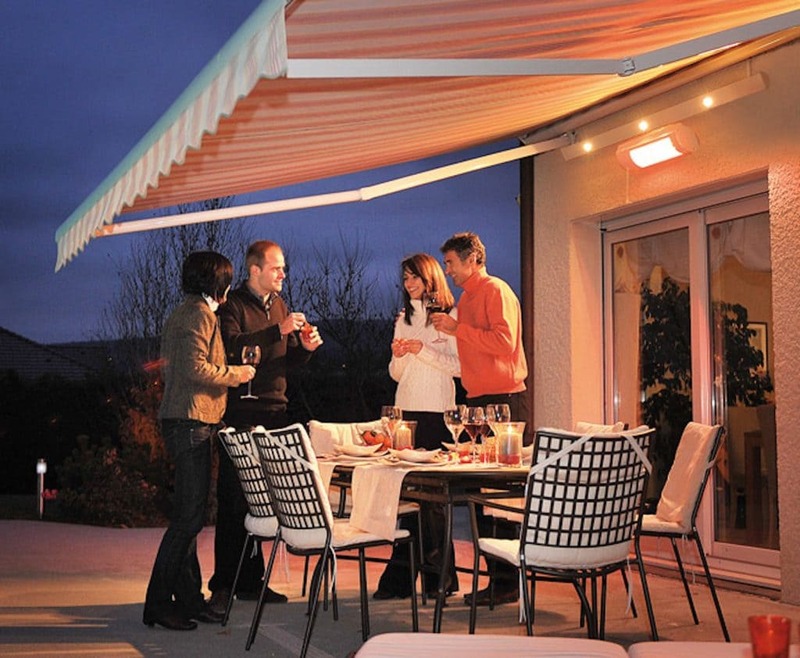 The Sunesta awning is designed and engineered with frame components that are compact, mechanically invisible and aesthetically appealing. 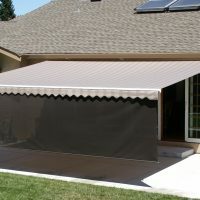 The frame has a durable electrostatic baked-on powder coated white finish that is up to four times thicker than paint. 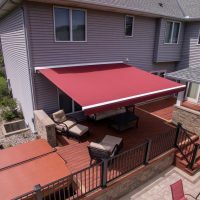 The color-coordinated caps on all nuts and bolts and mounting hardware complete the distinctive finishing touches to the Sunesta Retractable Awning.